Medical devices, like other computer systems, are vulnerable to security breaches that potentially impact the safety and effectiveness of the device. Recent security scandals have shown that hackers are increasingly developing new and effective methods of executing cyber attacks on the historically lax security embedded within medical devices. As a result, device security has taken on a new urgency for manufacturers and healthcare providers. 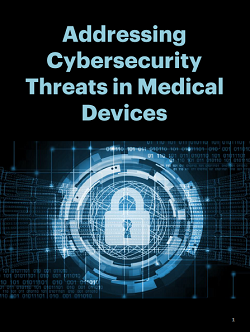 This piece discusses the changing nature of cybersecurity threats in the medical device space, and the role of political, regulatory and organisational influences on the prevention of cyber breaches.